Rock, Broadway, Jazz, cartoons, Cirque – experience the Richmond Symphony in new and unexpected ways. Always exciting and fun, a Symphony Pops concert is a night you’ll never forget. 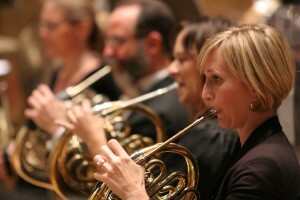 Symphony Pops concerts are held on Saturday nights at 8pm. Our annual, holiday favorite, Let it Snow!, is also held on Sunday afternoon at 3pm. All concerts are held at the Carpenter Theatre Dominion Energy Center. Symphony Pops concert often feature a pre-concert performance in the lobby or a post-concert meet and greet with the musicians, so come early and enjoy! Patrons can purchase a full subscription to the Symphony Pops series or mix and match these concerts as part of a Compose Your Own subscription. Single tickets are also available and start at just $10. December 7 @ 8:00 pm Let It Snow! Celebrate the holidays with a concert featuring the sounds of the season! Join the Richmond Symphony and Richmond Symphony Chorus for this magical annual holiday tradition the whole family will love. December 8 @ 3:00 pm Let It Snow! Experience the sights and sounds of the final frontier on a journey with the Richmond Symphony! Hear music from Holst, John Williams, and many others as the orchestra explores outer space and celebrates NASA’s six-decade journey to connect humanity to the cosmos. Learn more about Ankush Kumar Bahl, Conductor. For forty years the Apollo Theater showcased some of the finest black artists in American swing, jazz, R&B and pop. Borrowing from their own list of stars, we are thrilled to present the sounds of The Supremes, Marvin Gaye, Stevie Wonder, Hall & Oates, Aretha Franklin, James Brown, and many more.